There is a saying in Israel. 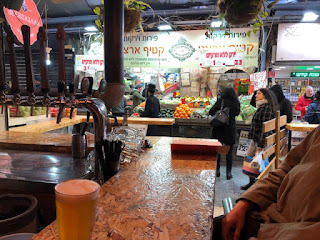 "Haifa is where you go to work. 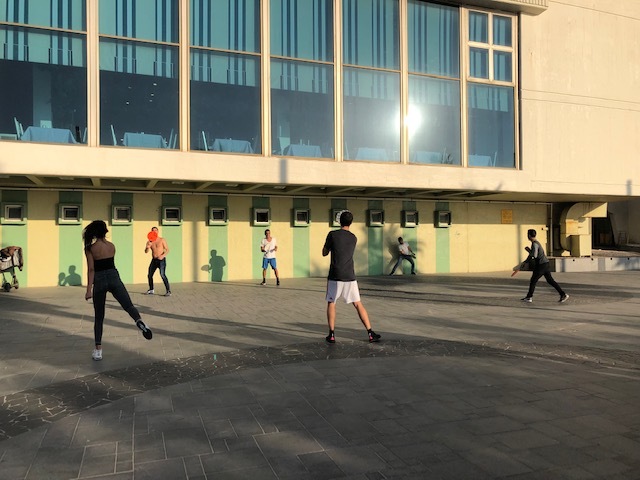 Tel Aviv is where you go to play. And Jerusalem is where you go to pray." 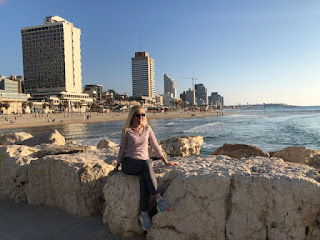 I have been to Israel three times, and I believe the saying is accurate. Haifa is known as the world's second largest technology center, second to our own Silicon Valley. 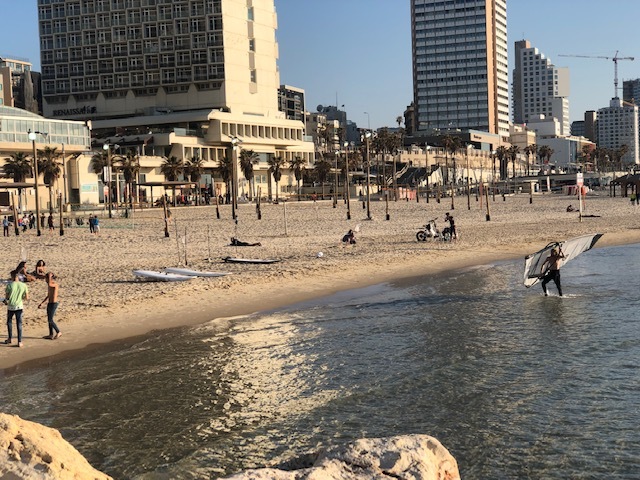 Tel Aviv is a beachfront community that never sleeps - filled with people enjoying everything from beach volleyball and water sports to music filled restaurants and bars. 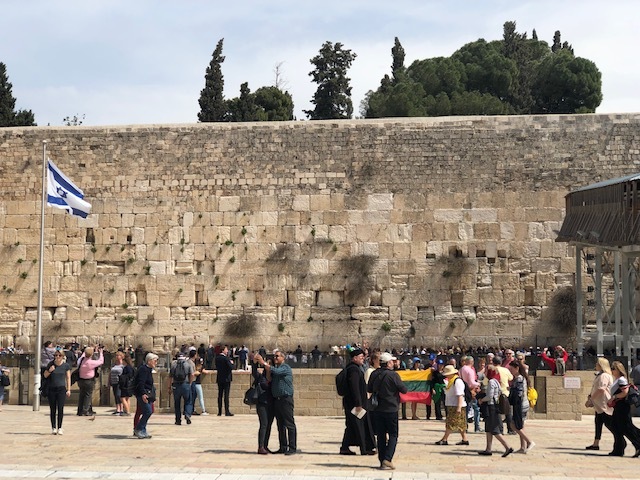 And Jerusalem... pilgrims from all over the world arrive in Jerusalem to visit and worship at religious sites sacred to Judaism, Christianity, and Islam. 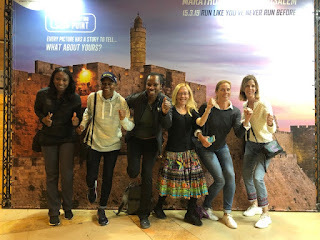 But after my most recent trip to Israel, a trip organized by Marathon Tours and Travel to allow runners to race a full or half marathon through the streets of Jerusalem, I would like to add to the saying above these words: Jerusalem is where you go to run a race of a lifetime. You will run through a city as ancient as stories from the Bible and as relevant as today's headlines. 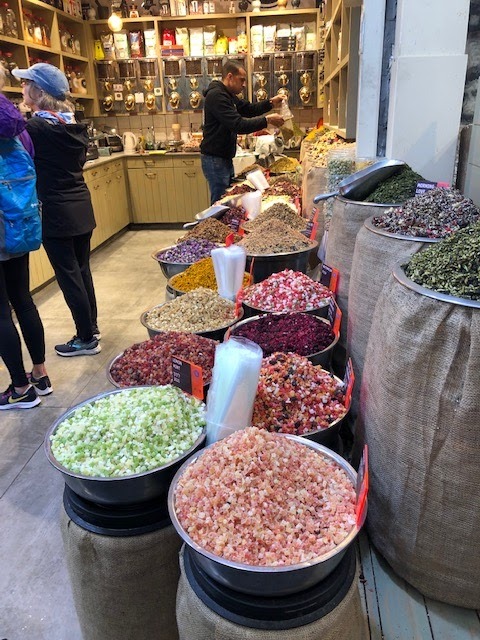 Just being in Jerusalem is an assault on your senses. It's a crazy cool kaleidoscope of sounds, smells, tastes, sights, and feelings, both physical and spiritual. And if you are fortunate enough to be able to run through its streets, while thousands of people are cheering for you, you will feel like you are a vital part of the excitement that is Jerusalem. 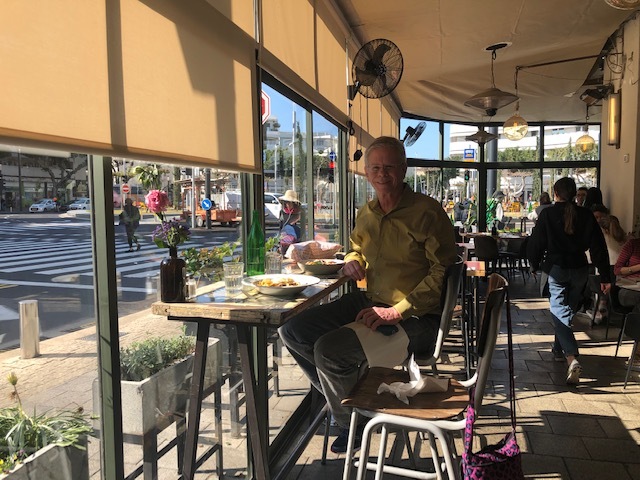 Larry and I started the tour a day early, in Tel Aviv. while most of the rest of Marathon Tour and Travel's group were in the Galilee, a beautiful seaside area that we visited on a previous trip. 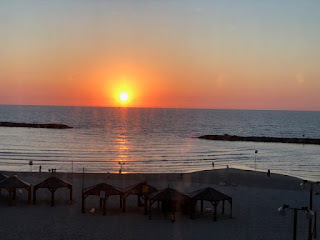 We were wowed by the energy of the Tel Aviv, loved the food, and enjoyed the beach scene. 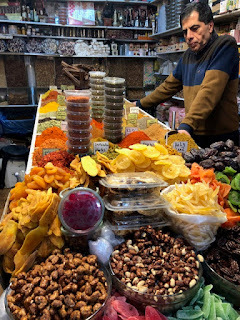 About the food... it's a delicious mélange of cuisine from all over the world, especially Middle Eastern and Mediterranean food. And large hotels have extensive buffets - including cheesecake for breakfast! I am all in for a country that will serve me my favorite food any time of the day! We toured Tel Aviv once we were all together. First, we met up with our tour leaders from Marathon Tours and Travel. I had been on several other marathon tours with our leaders before, and I knew that fun times were ahead for us. Karen and Jacqui were on board to make this marathon experience, so many thousands of miles away from our homes, as easy as a local race and but much more exciting! I don't just want Karen and Jacqui to plan my vacations for me - I want them to plan my life. They are both detail oriented and can handle the inevitable challenges with grace, as they did on previous marathons and this one as well. Nomi, our Israeli guide, was nothing short of phenomenal. She had a million stories... throughout the tour she taught us so much about modern day Israel. Nomi also made us laugh... and cry. Seeing Israel through Nomi's eyes made us all feel a bit like native Israelis, like we belonged in this magical land. Unusual (for us) but not for Israelis - tube irrigation for a home garden. Every drop of water counts in the desert! 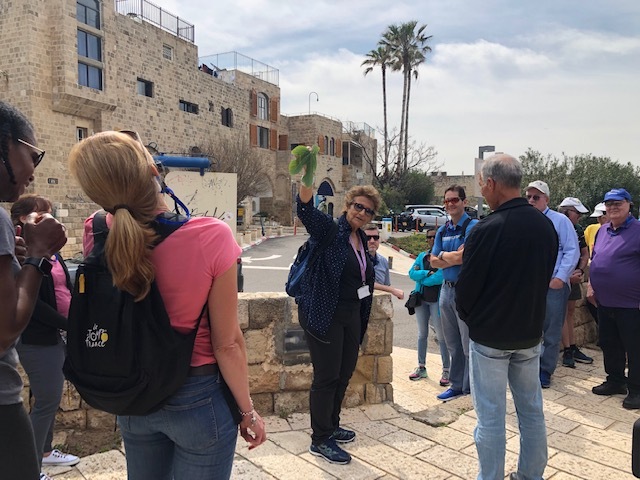 We toured the ancient port city of Jaffa, where Jonah was swallowed by the whale. It's been taken over by many artists - so cool to be able to see their arts and crafts in the old buildings. And here we are in Israel! Our dinner that night in Jaffa was amazing! Nour 28 Restaurant was reserved for just our group. 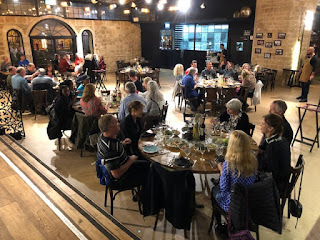 We enjoyed making new friends on our tour from all over the world at this dinner. Everything seemed brighter then I expected. More colorful. 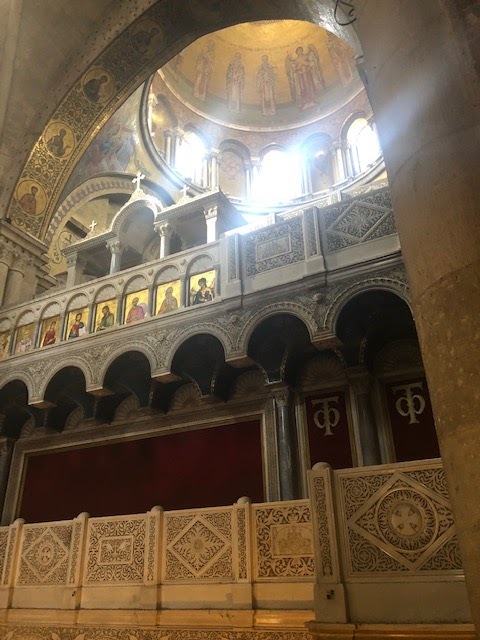 It was as if... the whole rest of the world was colored in black and white, while Jerusalem was in vibrant shades of every hue in the rainbow. 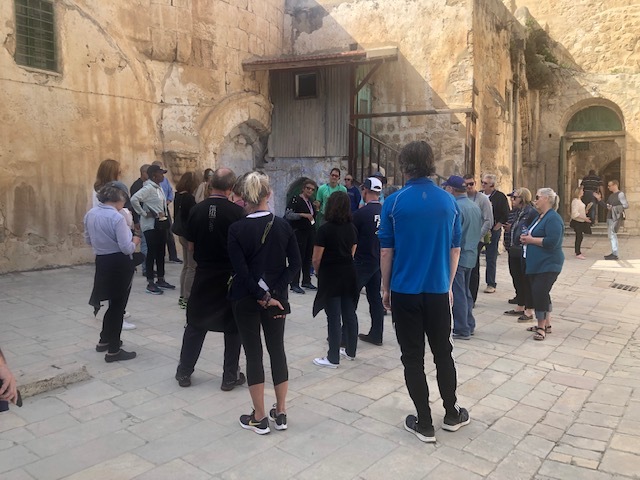 As a group, we were all quieter, more respectful, as we entered the Old City. Not that the Old City itself was quiet. 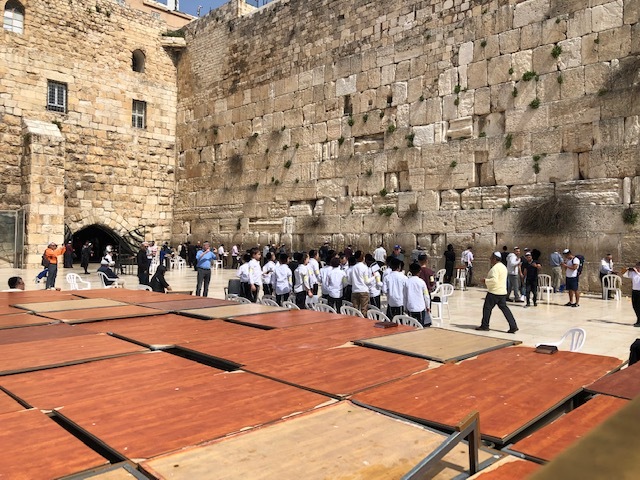 From the loudspeakers broadcasting the Muslim call to prayer five times a day, to the voices of Jewish school children singing at the Western Wall, to the excited conversations of Christian pilgrims from six continents as they witnessed holy sites in their religion, Jerusalem was a cacophony of noises. 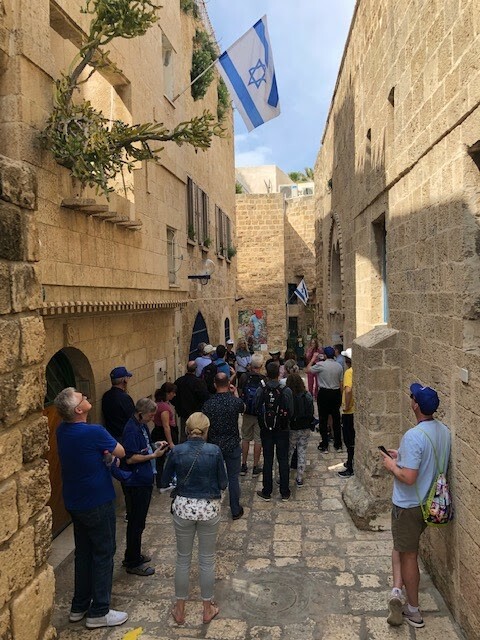 It was as if the whole world was gathered in Jerusalem with us on this tour. 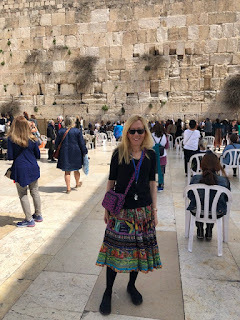 At the Western Wall (also called the Wailing Wall, for the crying of some of the worshippers, as they could barely believe that they were finally at this holy site) we divided up into groups of men and women, as we entered our respective sides of the Wall. Armed with not only my prayers but prayers for three of my friends, I made my way, along with female worshipers from our group and strangers from all over the world, to the world famous Western Wall, what remains of the destruction of the Second Temple. 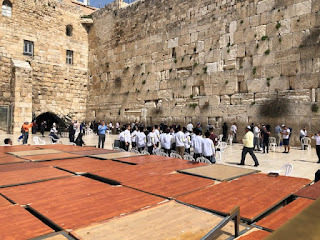 It is the holiest place in the world for Jewish people to pray. The Wall felt at first like any wall. But as I placed my prayers and my friends' prayers into the Wall, I could feel tiny indentations into the Wall where so many other women had placed their prayers over so many years. 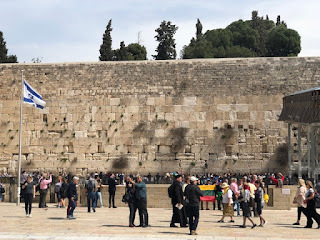 I could feel thousands of years of history on that Wall, of prayers sent... It was a truly wondrous experience. Larry was over at the men's side of the Wall. 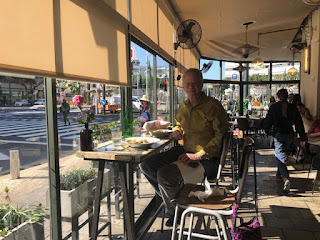 He got some pictures of Israeli schoolchildren singing and jumping on their chairs for emphasis as they sang. I peeked over the partition and got this picture of Larry taking his picture. 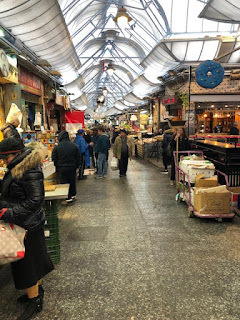 After the Western Wall, we walked through the Arab market, marveling at not only all the consumer goods for sale (we bought many cool items for our house) but also at the variety of food, larger, more colorful, and fresher than we usually see at home. And the smells! The herbs and spices smelled were so strong, so pungent, I felt like I was enjoying a Middle Eastern meal before we even ordered our food. 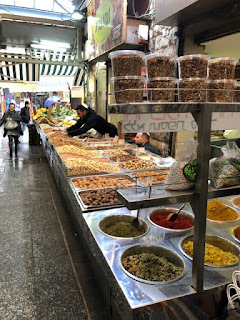 But no worries, we did get to enjoy lunch in the Arab market as well. Every shop we visited in the Arab market had Arab merchants who spoke English well. 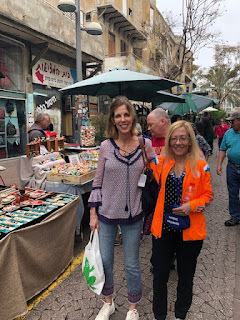 Many of them thanked us for visiting Israel and told us that they loved their country, Israel. Our experiences in that market were positive, fun, and delicious! 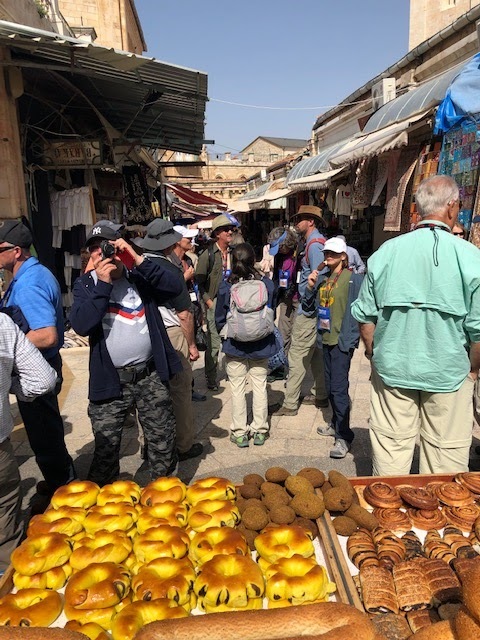 As we wandered through the Arab market, Nomi walked us through the Stations of the Cross, where Jesus Christ had walked to his crucifixion. Our world's history is experienced in the 21st century while hearing stories about what happened on the streets right beneath our feet thousands of years ago. 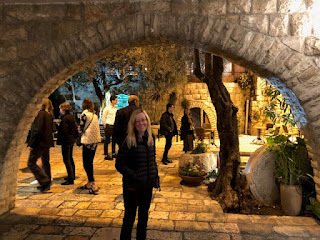 There is no other place like Jerusalem... we all knew that we were so fortunate to be able to walk in the same place as so many others walked throughout the years and felt connected to stories that others only hear about. Nomi led us to the Church of the Holy Sepulchre, which contains sites where Jesus was crucified, and where his empty tomb was, where it is said he was buried and resurrected. 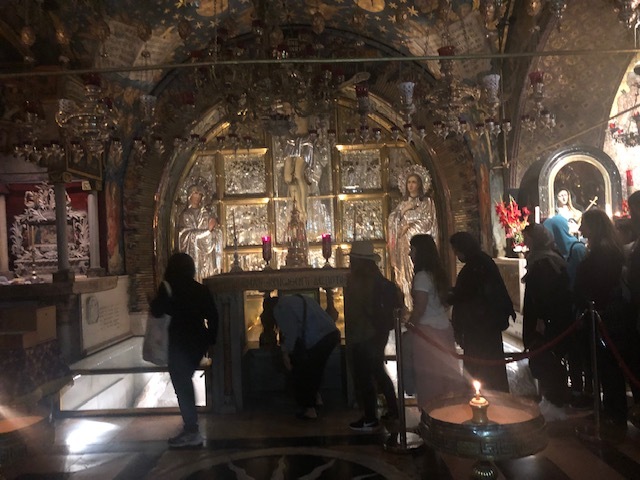 To say these sites, the two holiest sites in Christianity, were very emotional sites for all the Christian pilgrims in an understatement. 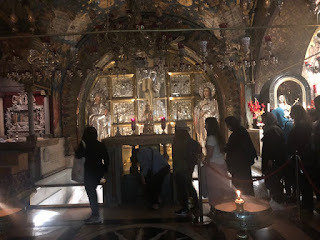 We were all very respectful as we observed people rubbing the tomb with rosary beads and cloths. That afternoon I made the first of three visits to the Expo. 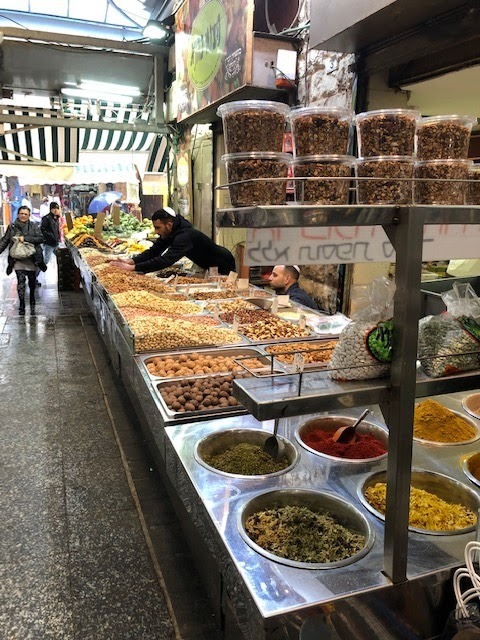 Israel is a foreign country with two official languages (Hebrew and Arabic), different foods and customs. But once I stepped foot in the Expo, I was back in Cindy Land. 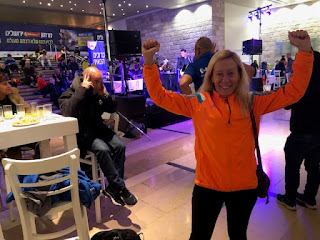 Had I forgotten anything for the marathon, no problem, all of my favorite brands were there: Hoka, Garmin, Gu, CEP... and the clothing and gear prices were so favorable to the American dollar! All of us bought so much swag from the Expo. There were fun photo ops and the pasta dinner the evening before the marathon with live music was a much appreciated bonus! Watch out Jerusalem Marathon - here we come! The day before the marathon, we had lots of time to continue to tour Jerusalem (and, I must add, I returned to the Expo two more times to buy more swag!) The first stop was the Machne Yehuda food market - the best food market Larry and I have ever been to. The Israeli merchants sold the colorful, plentiful, and delicious food to us while speaking about the United States and our upcoming race, and thanking us for visiting Israel. 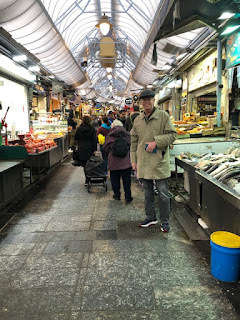 We spent almost two hours there, shopping, gazing at familiar and foreign foods, and having lunch with our friends from the tour group. My favorite chef at the Machne Yehuda food market - Larry! After lunch, we stepped outside into the cold, pouring rain. It was a gray, gloomy day. Appropriate, since we were headed to Yad Vashem, the Israeli Holocaust Memorial. I have written this part of my blog post over a dozen times in my head. But I am at a loss to describe the horrors I saw inside this museum. First, I need to make clear that Yad Vashem is an excellent museum, the best example of what should be shown to make people aware of what lead up to and what happened in the Holocaust. The floors and walls are uneven and tilted, to keep you off balance, as if you can't be sure of what is going to happen next. The exhibits, artifacts, pictures and movies tell the story very well. And the museum is free of charge to anyone who wants to bear witness to what happened to the vast majority of central Europe's Jews (six million Jewish people perished) and millions of others who the Nazis randomly decided should be murdered as well (the elderly, the handicapped, Gypsies, homosexuals... the list goes on and on). The movie at the entrance is a wonderful collage of Jewish life prior to the Holocaust in Europe. 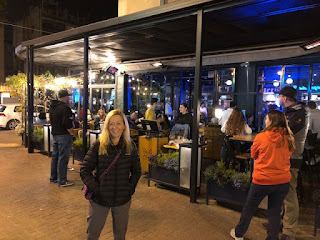 There are Jews smiling, happy families celebrating life cycle events and holidays, skiing, playing music... just regular people, a vital part of their communities. I loved the pretty women in their 1930's dresses, smiling and waving to us from another world. It was so sad to think many of the people depicted in the movie were killed by the Nazis. Maybe only that one guy in the movie was lucky enough to get out of Europe in time. He had crazy white frizzy hair and looked like... no, wait, he was... Albert Einstein. The rest of the museum was a horror story of what happened. What I saw that day will haunt me for the rest of my life. 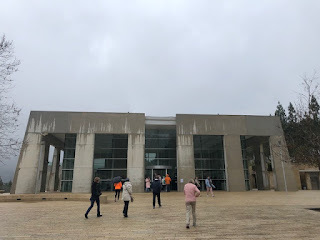 Many people from our group, as well as strangers to us touring the museum, were visibly upset by what we were experiencing. I took a moment and prayed for all of the people who died at the hands of the Nazis. I wished the victims peace, and wanted them to know they will never be forgotten. Their story is well told at Yad Vashem. We who go there bear witness to what happened to them. The ray of hope came in the last part of the museum. There were exhibits dealing with the Righteous Among Nations. Whole countries - Bulgaria, Denmark, and Sweden - saved virtually all their Jewish citizens from the murderous Nazis. There was a village in France and a village in Poland that saved several of their Jewish citizens. 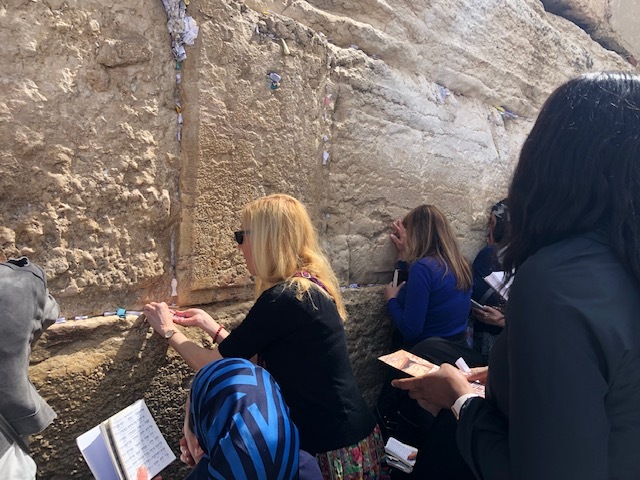 And then there were all the individuals, who risked their lives, who saved anywhere from one or two Jewish neighbors to people like Raoul Wallenberg and Oskar Schindler, who saved thousands of Jewish lives. 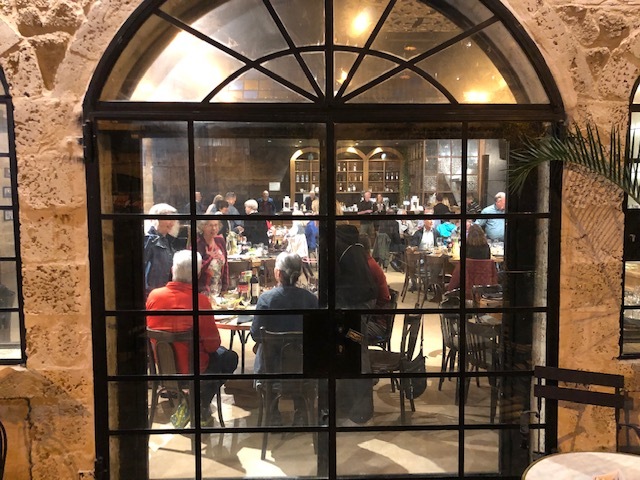 When you leave Yad Vashem, you get it. 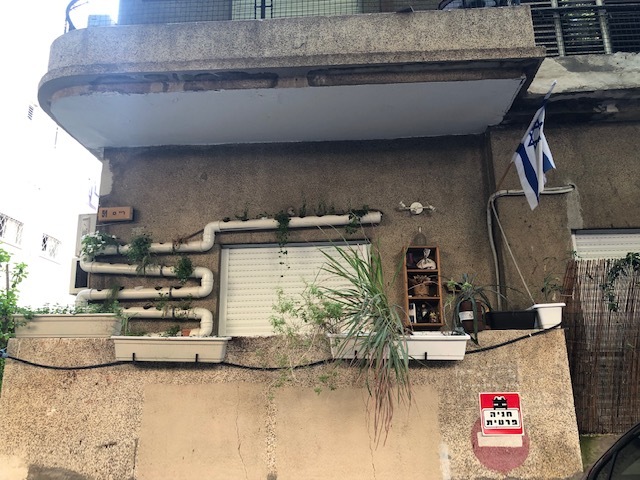 You get why the modern state of Israel was created and why it needs to survive. No one should ever go through what the victims of the Holocaust went through ever again. The last ray of hope comes from the writing of Anne Frank, who perished in the Holocaust. She wrote: "I still believe that people are really good at heart... if I look up into the heavens, I think that it will all come right, and that peace and tranquility will return again." We should all heed these words and make sure these horrors don't happen again to anyone. The next day was the marathon. The skies cleared up, no more rain. The temperature was perfect at the start - just under 50 degrees. We were ready to run and experience the joy of running, and running through an ancient city that had welcomed us so completely. Runners from 80 different countries, and from many different religions, conquered the hills together. We ran through 3,000 years of history - if only the streets and buildings could tell us their stories! 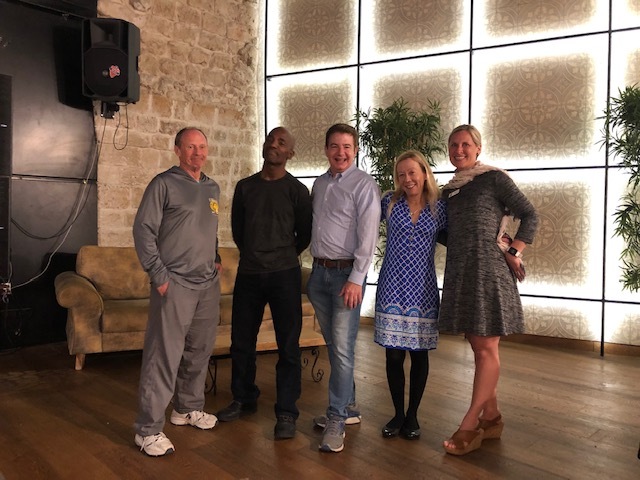 The race began in a large park, Sacher Park, and we continued running through Hebrew University, the Old City (on the cobblestone streets! Through the Armenian Gate! ), up Mount Scopus, by Hadassah Hospital, by the Jerusalem Forest, and through modern Jerusalem as well. I have never enjoyed myself so much during a marathon! The spectators were amazing. Thousands of Israelis were cheering for us throughout the race. I wore a USA running singlet. and I lost count of how many people called out to me: "USA! 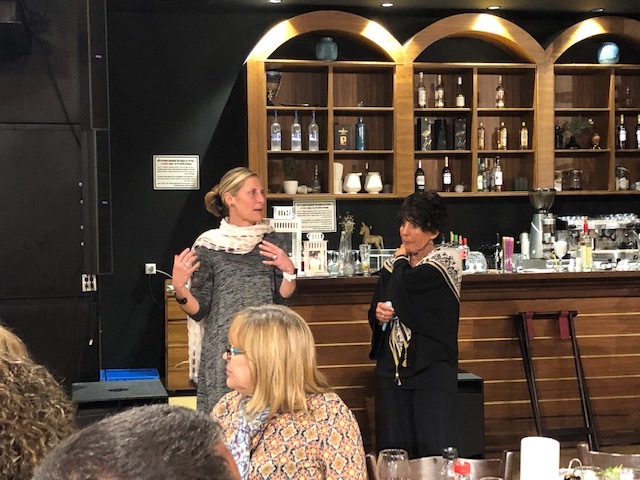 Thanks for visiting us!" Families brought their children to cheer for us. And these kids were put to work: they were handing us water bottles, GU energy gels, and were also put to work cleaning up the discarded bottles. I enjoyed high fiving many of the children. And then there was a magical moment on the course. I had hoped to see Larry out somewhere on the course, but my Apple watch was not transmitting a signal back to Larry. I was upset about that, as I knew Larry was out on the course and would be looking for me. As we approached a tunnel, I heard a group of men singing as I ran by them. They were singing one of my favorite Hebrew songs, "Hevenu Shalom Aleichem", which means "we brought peace to you". I ran out of the tunnel, heard klezmer music playing, then heard my name being called out, "Cindy Bishop!" At first I thought I was doing something wrong! Then I looked and there Larry was, smiling and taking a video of me! How the heck did he ever find me with 40,000 people out on the course (some were running the half marathon or a number of smaller distance races)? I was thrilled beyond belief! That was at about mile 14. After seeing Larry, I was so happy that I began to run faster - first time I ever finished a marathon with a negative split! Then Larry ran (faster than us!) to the next point on the course, so he could get a still photo of me. Seeing Larry on the course those two times were two of the happiest moments of my life! I crossed the finish line at 4:41:23 - the fastest marathon I ran in almost three years. I was thrilled with my time - and later elated when I found out I was the fifth finisher in my age group, another goal I wanted to achieve. It helps to be the baby in my age group - I turned 60 just a month and a day prior to the race. After the marathon, we all celebrated in the executive lounge, then we went out for our celebration dinner at Khan, a traditional Israeli restaurant in a historic Jerusalem building. For Larry and I, this was the final evening of the trip. 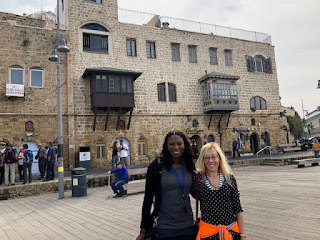 We had been to Israel twice before and had already seen the sights that the rest of the group were going to see: Masada, The Dead Sea, and Bethlehem. 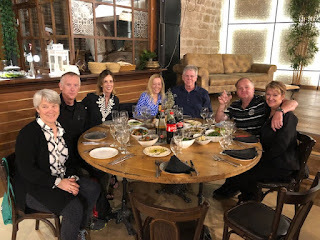 I envied our friends - they were off an amazing adventures. 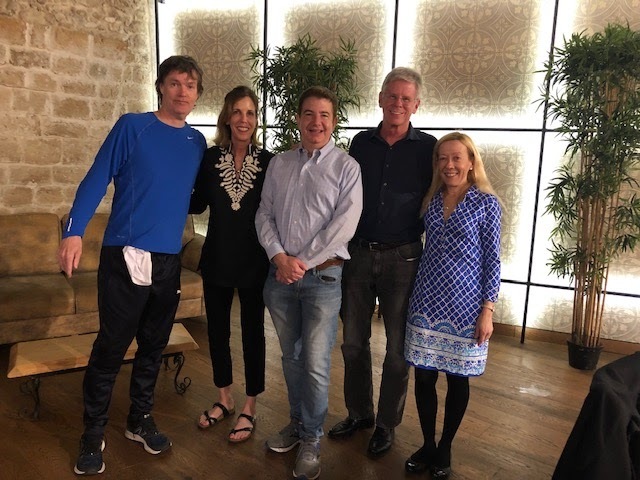 I hope to see our friends from the Jerusalem Marathon soon. I don't know where our paths will cross again. But I know that we will all keep a part of Jerusalem in our hearts and souls forever. 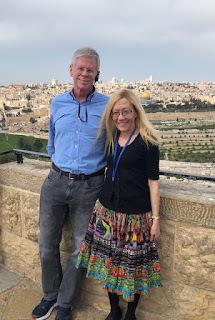 Visiting Israel and running the Jerusalem Marathon have changed all of us, for the better. Thank you, Marathon Tours and Travel, and the people of Israel, for a trip of a lifetime. 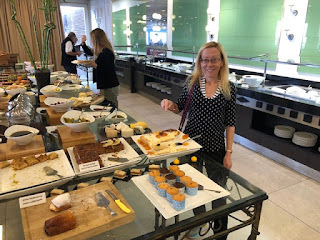 Wow what a well written travel blog. I think I see the tree I planted. Such a vivid tale, and such great pics! Bravo! This sounds like quite the adventure, Cindy! Thank you for sharing. Really loved the photos too! 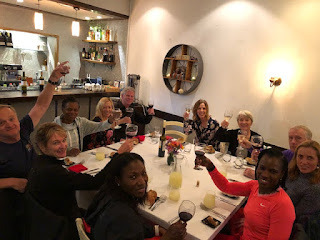 This is such a great trip and marathon blog report. Well done Cindy. Reading your blog and looking at your pictures, I practically felt as if I was right there with you. Well done.